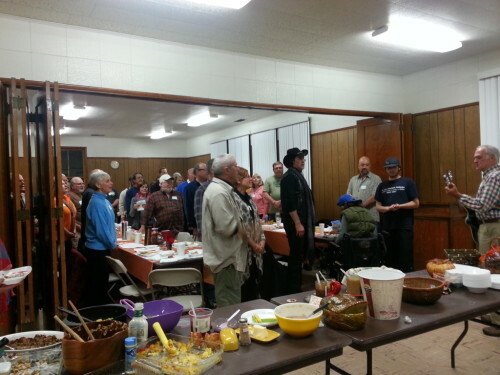 This week was a busy one in Fawnskin, first the NSIA Potluck was packed since it was the Thanksgiving celebration. Thanksgiving happens to be my most favorite holiday since it is about being thankful, sharing food and fellowship. I’ve been venturing out once in a while between purging and packing, since the move out date is fast approaching. This means that my social interactions have been limited to grabbing mail and odds n’ ends. However, I managed to make it to the community honor awards yesterday in Big Bear Lake. 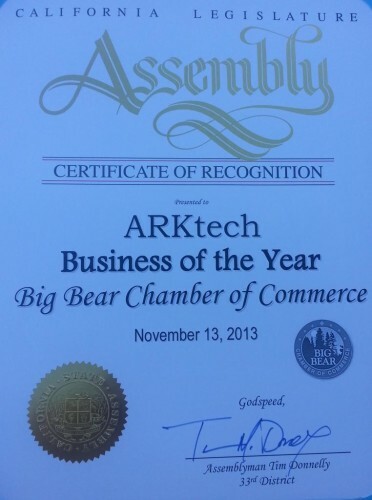 As always, Fawnskin tends to rock it and ARKtech, a business based out of Fawnskin received business of the year for 2013. And yes, full disclosure, that is my business for those who do not know. I got a nifty plaque, fancy certificate from the California Assembly, and everyone had to listen to me for once! BTW ARKtech has applied for a $250,00 grant for growth and to provide low coast and non cost online training programs for businesses and needs your vote. We need 172 more votes to qualify by November 15th at midnight. 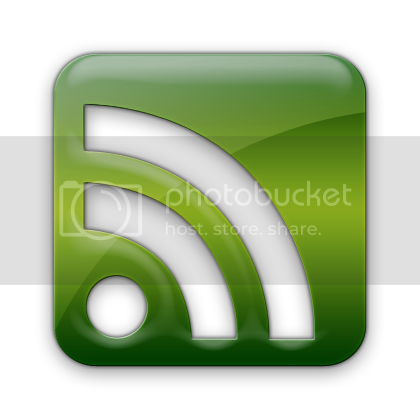 So, I am going to use this time to ask you to cast your vote here => http://ow.ly/qx2Y0 and feel free to share with your friends. The voting is through Facebook Connect so you have to be logged in there to participate and, despite the prompt, they do not store or share any of your information. In early 2014, a total of 12 businesses will be selected for the award which is given through the Mission Main Street project. Now, I know you have been wondering about the weather since it has been lovely and unseasonably warm. Rain is anticipated on Sunday–but you never know around these parts. In the meantime, motorcycle riders and 4×4 enthusiasts have been flocking to the area as a result. Here on the party perch it has been busy since two cats have been visiting me regularly and the birds have been particularly bossy. I think they are getting their say while they can. However, I enjoy their company. Finally, Jean Glessing is still recovering from breaking her hip and can be reached at (760) 245-5361. Plus, Art Voltz is doing well and was at the potluck. Reach him locally at Blue Skies Manor at (909) 585-9817 (46838 Sky View Drive, Lake Williams). This entry was posted on Thursday, November 14th, 2013 and is filed under Business & Commerce, High Altitude Living, Small Town Living.